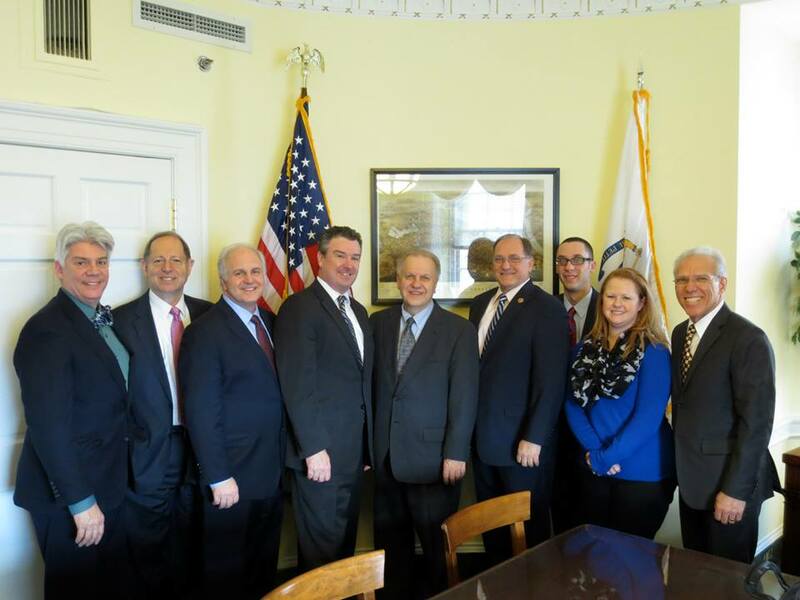 During the last week in February, the Massachusetts Broadcasters Association took many of its board members to Washington, D.C. for the National Association of Broadcasters’ State Leadership Conference and then on to call on our members of Congress. The MBA group met with Senators Elizabeth Warren and Ed Markey, as well as Congressmen Joe Kennedy, Mike Capuano, Richard Neal, Bill Keating, John Tierney and Congresswoman Katherine Clark. This year, like every year, broadcasters’ face a myriad of challenges on Capitol Hill. For radio that includes supporting the “Local Radio Freedom Act.” For television we made sure that Congress is monitoring the FCC as they conduct the spectrum auction, as well as asking Congress to cleanly pass the Satellite Television Extension and Localism Act (STELA). We also expressed our concern with language in a tax reform bill by Rep. Dave Camp (R-MI) that would reduce the tax deductibility of advertising. The Board delegation made sure to thank Congressman Capuano for once again co-sponsoring the House resolution supporting the “Local Radio Freedom Act.” The Board also took the opportunity to speak with Senator Markey about the implications of the Comcast/Time Warner Cable merger. Overall the broadcasters’ issues were well received. Issue overviews for radio and television can be found at NAB.org. To see additional pictures of the MBA trip to Washington, visit our Facebook page or our photo gallery on massbroadcasters.org. As always we continue to monitor issues that impact you and your stations and your input is appreciated.